My Morocco posts have come to an end, and there's no better way to end it than with this post from Lamounia's famous indoor pool. 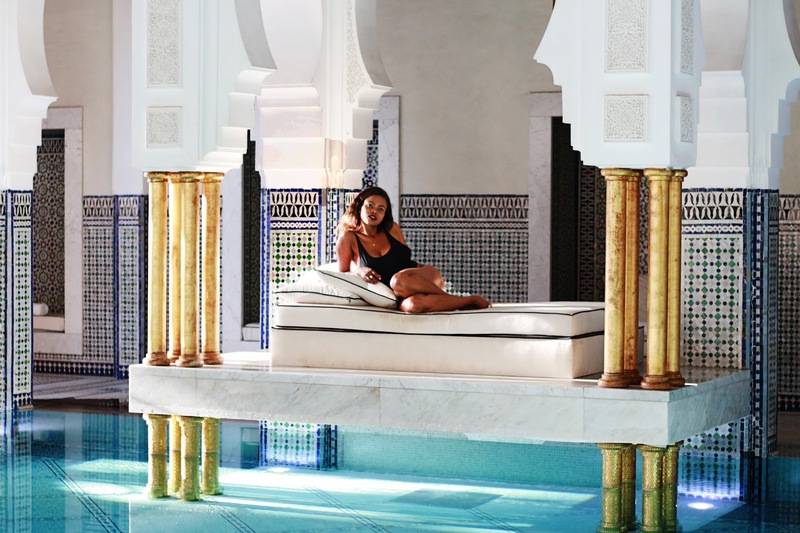 The Indoor Pool at the La Mamounia Marrakech is what you usually see in the pages of magazines everywhere. 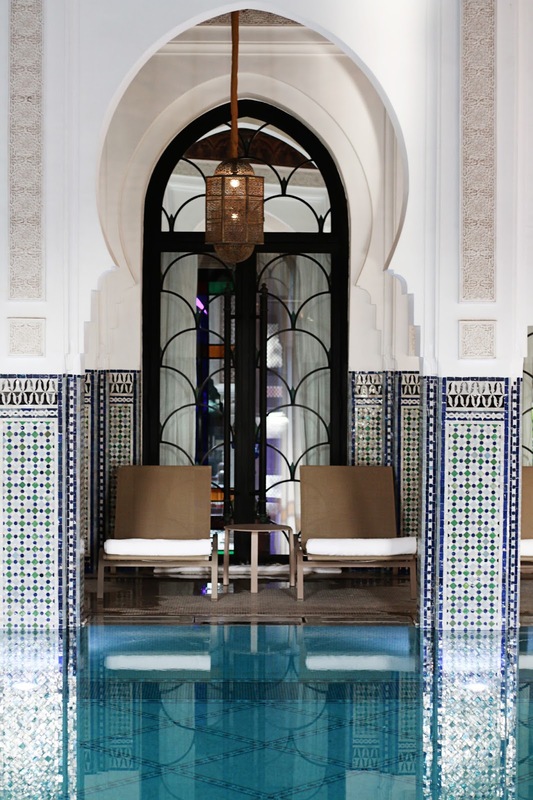 The luxe pool features stunning tiled columns as well as tiled pool floors. There is a throne-like platform at the center back of the pool with golden pillars on both sides, which make you feel like royalty. Next to the pool is the Jacuzzi; not as well known but just as stunning. The Jacuzzi is surrounded by stained glass windows that create that heavenly light for photos, especially when the sun is setting. I'm so happy Monroe discovered the Jacuzzi, I didn't know it existed.